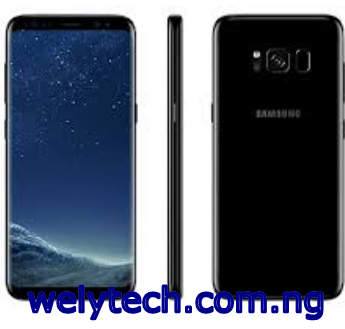 Samsung Galaxy S8 Plus – today I will be reviewing this new Samsung Galaxy brand popularly known as Galaxy S8 plus. This Smartphone has many features that made it different or special form other Samsung mobiles. In this post I will discuss this Samsung galaxy S8, its features and specifications. Samsung Galaxy S8 has large screen although is took it shape as a Smartphone to be held. Its screen is bigger compared to other Samsung Galaxy phones. This killing Galaxy phone has two sizes but either of the sizes comes with Edge moniker with Samsung calling its taller curved screens the Infinity Display. Samsung S8 is taller than Samsung Galaxy S7 Edge, this new Samsung Galaxy (Galaxy S8) measures 159.5 x 73.4 x 8.1mm and weighs 173g. Samsung Galaxy S8 has the world best mobile phone display, because this phone has a lot of mega pixel. It’s all thanks to the impressive 88% screen-to-body ratio of Samsung’s ‘Infinity Screen’. The Galaxy S7 Edge had what we thought was a good 76% ratio, while the iPhone 7 Plus sits at about a 68% screen-body ratio. Even though it has 4GB ram but Samsung S8 has a very high processing speed and is very fast. If you are looking for a smartphone with good camera, you are very luck because Samsung Galaxy S8 plus has one. Its camera quality is dope, moreover everything is same with Samsung Galaxy S7 Edge by surface the main camera has a 12MP sensor with Dual Pixel autofocus, a fast f/1.7 aperture and it captures large 1.4µm pixels. The battery life is supper, although I was expecting increase in its capacity. I was expecting 5,500mAh. But pretty cool to hear Samsung Galaxy S8 plus battery stay long. The battery has duration of staying a day without the battery been dead. This can happen when it is in constant use. In conclusion, I know that I have discussed in detail of Samsung Galaxy S8. This mobile phone worth buying; if you are thing of Smartphone to buy this new Samsung Galaxy is for you. Click on the link below to buy from any of the online stores.